Finally - a long awaited book on the Nordic societies and European integration. My contribution can be found in the chapter entitled 'The Outsiders: Norway and Iceland'. 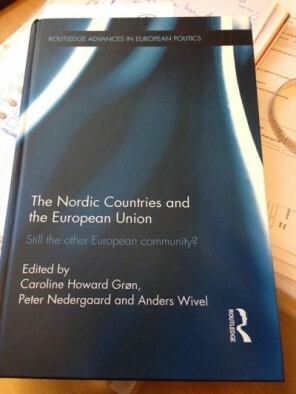 The book the Nordic Countries and the European Union' is edited by Caroline Howard Grön, Peter Nedergaard ad Anders Wivel.